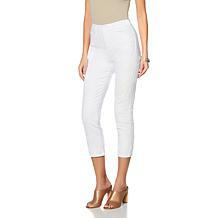 Perfect for spring (and beyond), this light-wash skinny stands out with a contrasting waistband and some light distressing. 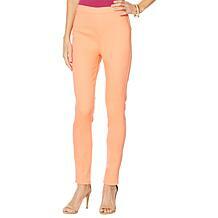 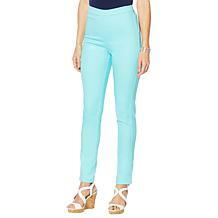 Wear it with cropped tops and tucked-in blouses. 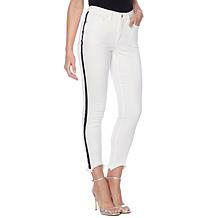 Whatever your height, you'll love the way tuxedo stripes lengthen the look of your legs. 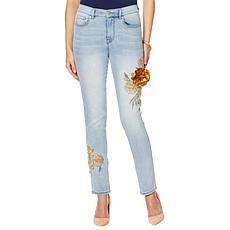 But the addition of embroidery and frayed edging takes this trend to the next level. Hello, damsel in distressed. 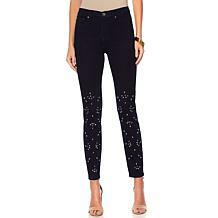 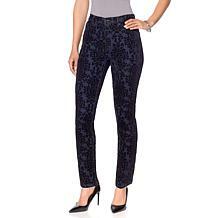 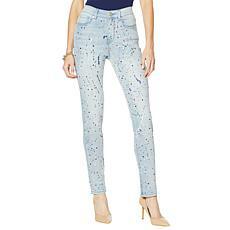 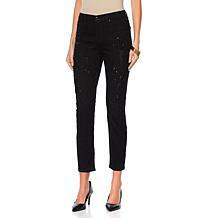 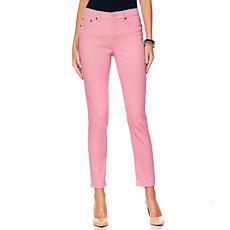 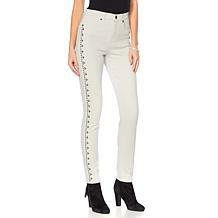 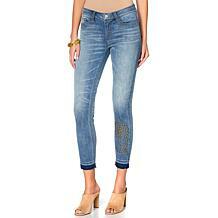 Casual has never looked so glam as with these blinged-out skinny jeans. 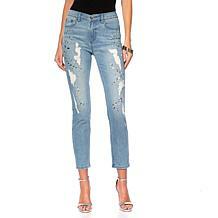 Icy accents lend the look of diamonds on denim that is artfully destructed and ready to rock with your hottest heels. 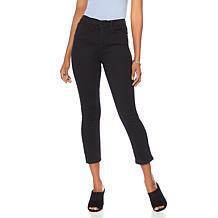 Effortless style requires a little planning, this skinny jean meets the demand and gives you full range of transitional elegance. Take it through the daytime and move it into the nighttime. 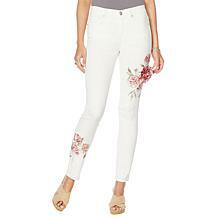 Subtly embellished but sensational in its simplicity, this cropped jean has just enough sass to stand out. 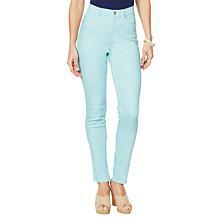 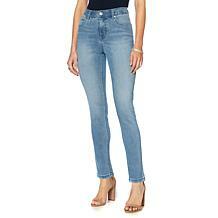 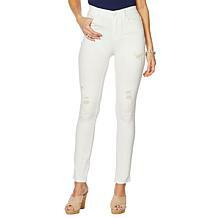 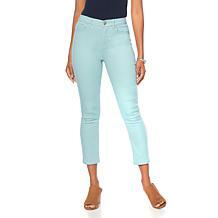 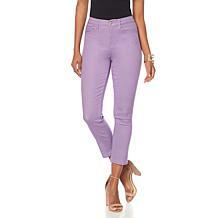 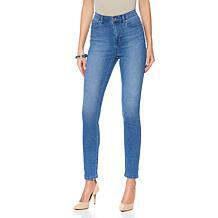 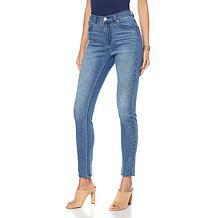 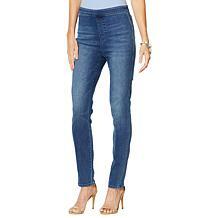 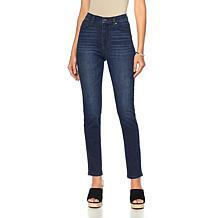 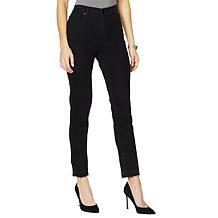 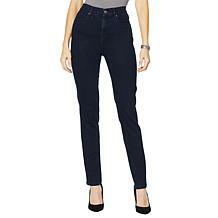 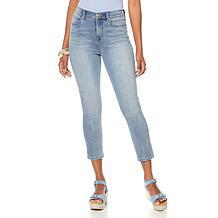 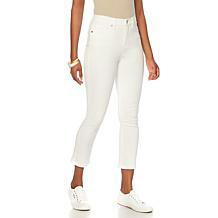 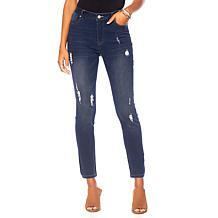 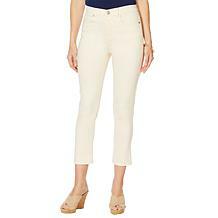 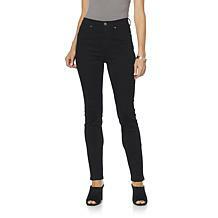 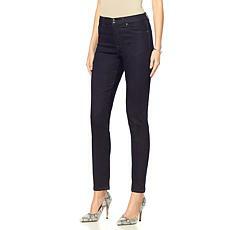 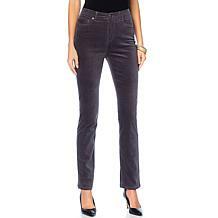 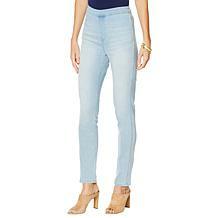 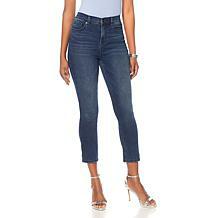 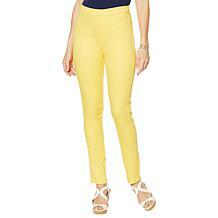 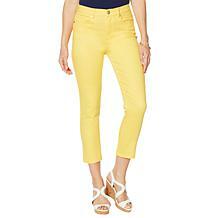 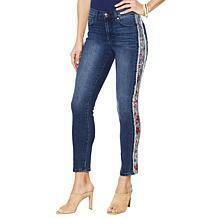 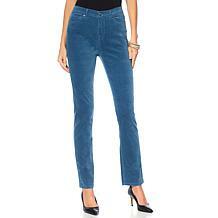 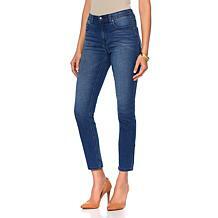 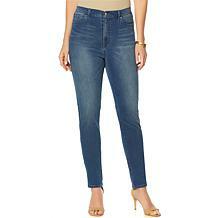 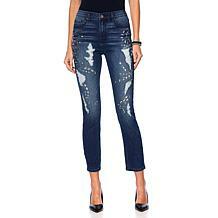 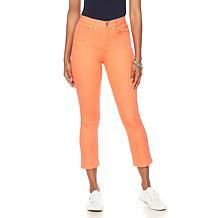 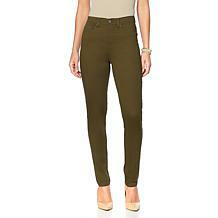 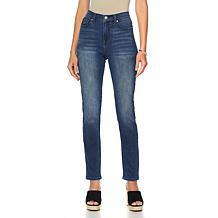 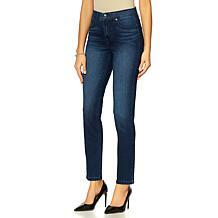 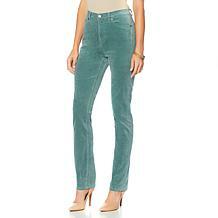 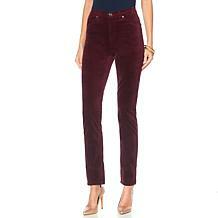 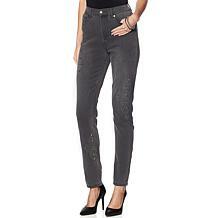 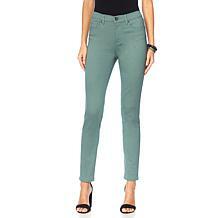 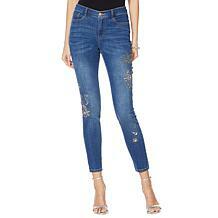 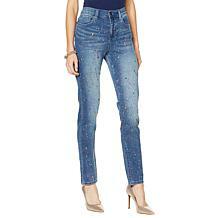 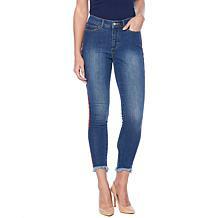 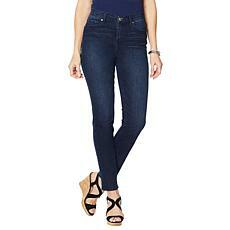 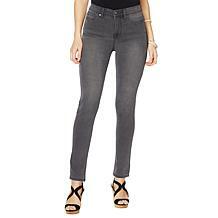 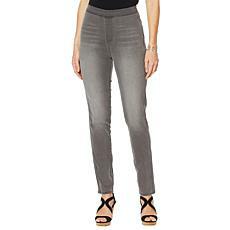 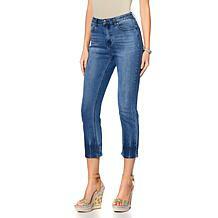 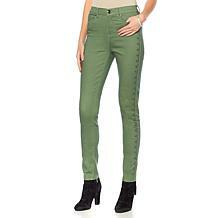 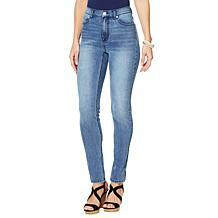 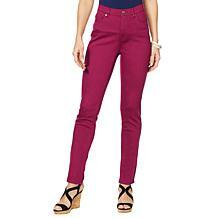 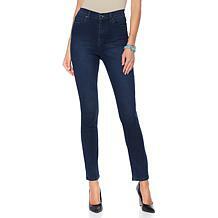 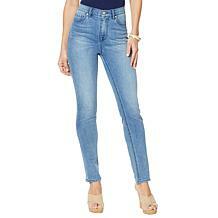 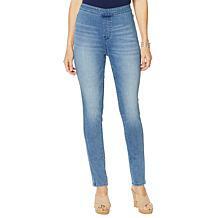 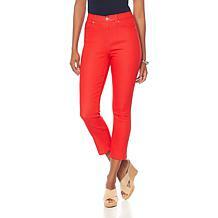 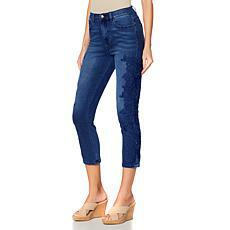 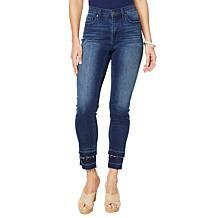 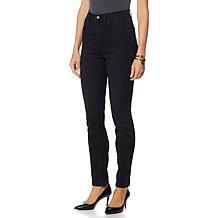 A great length, a fab fit and classic colors come together in jean we think you'll adore. 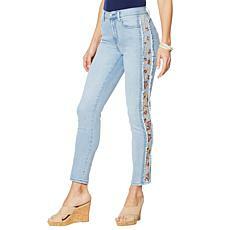 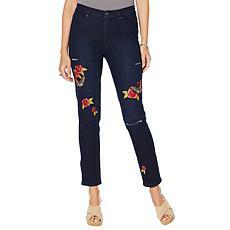 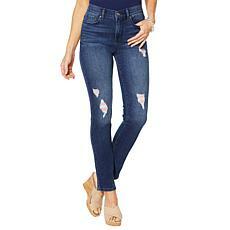 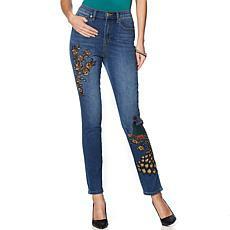 Put the butterfly effect in motion with jeans that can alter the course of your fashion universe. Every pretty step you make is a chance to make a statement ... and a difference. 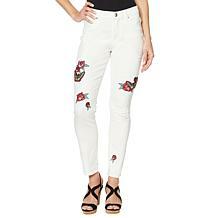 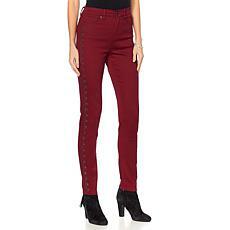 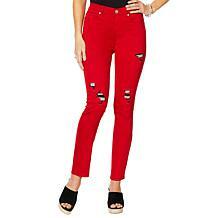 Honor your playful moods with a fun pair of skinny jeans. Striped patches bring a playful twist to the distressed trend.